Carlton Taylor, the president of the Polk County Cattlemen’s Association, leads a group of ranchers who impact the state economy in ways the general public may not readily see. Together with the state and the national association, Taylor wants to spread the word on what he and his constituents do. Now, armed with a new report from the UF/IFAS Economic Analysis Program, the story becomes a little clearer. The 71-page report, released in March and sponsored by the Florida Cattlemen’s Association and the Florida Dairy Farmers, provides a snapshot of the two industries’ economic contributions to Florida. The report is available to the public. The report marked the first time researchers combined cattle and dairy industries, but the combination made sense, according to Dr. Alan W. Hodges, the lead author of the report, which focuses on 2017. 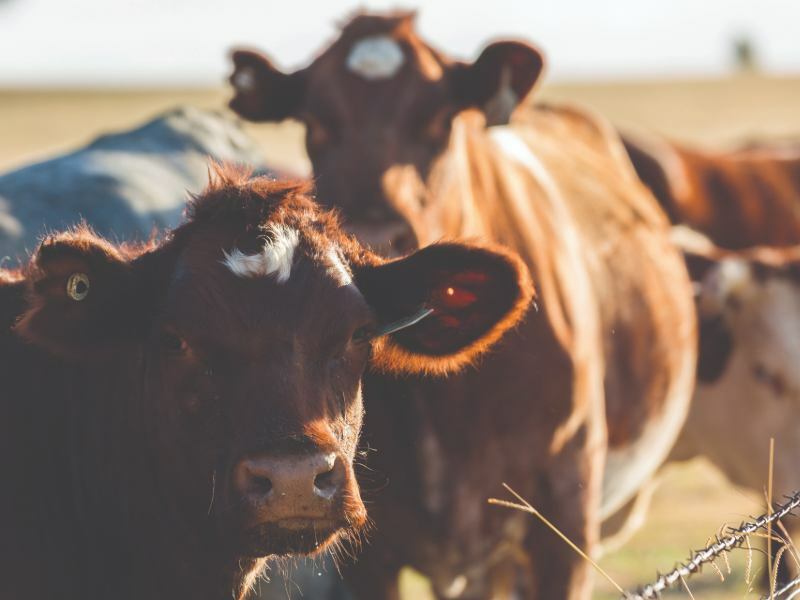 “Even though the beef and dairy markets are different, by combining them together, we can better see how they both impact the state in sometimes unexpected ways,” Hodges says. In 2017, Florida’s combined beef cattle, dairy cattle and allied industries generated revenues totaling $16.8 billion and supported 118,191 full-time and part-time jobs. Hodges noted three specific findings in the report: the relatively stable amount of acres dedicated to cattle, the larger impact of both beef and dairy cattle in relation to state employment numbers, and the unexpected ecological benefits of the industry. Hodges noted that the amount of land dedicated to pasture, rangeland and dairy cattle production has remained relatively the same over the past 20 years. There are 5.4 million acres dedicated to these industries, representing 15.6 percent of the state’s total land area. Despite the relatively stable amount of land dedicated to the industry, the number of cattle has risen. As of January 2019, Florida had an inventory of 1.68 million cattle and calves. Not only are the cattle more numerous, but they are bigger, according to Carlton Taylor of the Cattlemen’s Association. That’s key, Taylor says, because the larger animals bring a larger return. Instead of a 900- to 1,000-pound animal, they’re working with a 1,200 to 1,400-pound animal. “The more pounds we have, the more we can meet the demand for product in this country and beyond,” he shares. One of the unexpected findings of the report related to the location of the beef and dairy jobs. Excluding wholesale and retail distribution, three of the top four counties for cattle and dairy production workforce were the typically urban centers of Miami-Dade, Palm Beach, and Hillsborough counties. State leader Miami-Dade has nearly 8,0000 full- and part-time jobs, 3,500 more than second-place Polk County. Miami-Dade and Hillsborough counties are also notable because of their function as ports cities for a rising export function of the cattle and dairy industries. In 2007, export sales of Florida cattle and calves, beef and dairy products totaled about $465 million. By 2016, the figure had more than doubled to $1.03 billion in exports of meat and dairy products. That number represents a shift in focus for the cattle industry, according to Taylor. Another notable finding in the report is the ecological impact of the cattle and dairy industries. By maintaining vast tracts of minimally developed land, the Florida cattle operations provide wildlife habitat, air and water purification, and other non-marketed ecosystem services, according the Hodges. Using a meta-data analysis of secondary research data, Hodges and his team were able to estimate that these non-marketed ecosystem services have an annual value of $4.61 billion. Cattlemen president Taylor knows first-hand that many of the large cattle ranches provide more benefit to the environment than people expect. The thousands of acres of ranch lands act as a water filtration system as the water moves south, he says. This positive environmental impact is an unexpected part of the story, and yet it folds in nicely with the other parts. Florida beef and dairy cattle industries efficiently produce more, provide more jobs, and impact the environment less than one may expect. That’s a story Taylor and other cattlemen are happy to tell.